Gaming on mobile can be a lot of fun, especially in 2018. Now, we have graphic-intensive games and games with a little more complexity to them. When mobile phones first came out, this wasn’t possible; however, it has brought with it some cons. The major con to gaming on iOS with the iPhone XS is the on-screen controls. It’s extremely frustrating to use those controls to control your character or navigate through a game — especially when it comes to digital directional pads or joysticks. That said, a Bluetooth gaming controller can solve this problem pretty quickly. Not sure what gaming controller to use for the iPhone XS? Then stick with us, as we have assembled the five best gaming controllers for you. Here are our top picks. The 8BitDo Zero is a nod to nostalgic gamers. If you loved the game controllers of retro consoles in the past, then you’ll love the 8BitDo Zero. This one is a fairly small controller, giving you a directional pad and a handful of buttons. There’s — unfortunately — no analog joystick on this one. 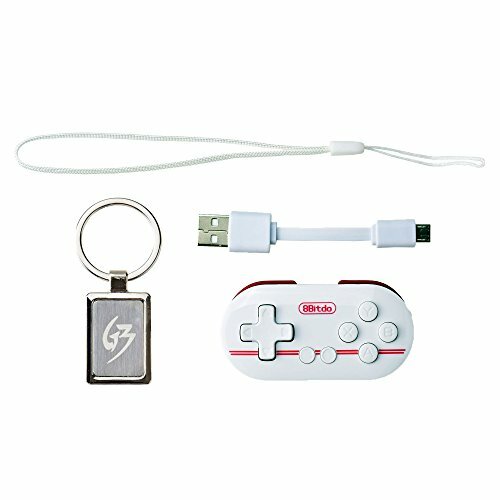 It connects up easily over Bluetooth, and provides you with a little more control in gaming. 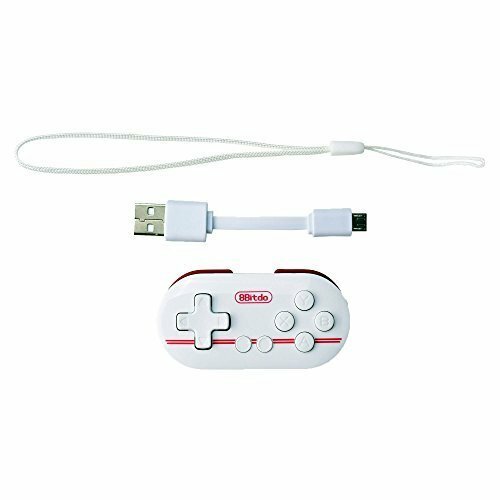 A single charge gives you about twenty hours of straight gameplay, and a micro-USB cord is included to keep it charged. If you’re looking for a heavy duty and full size controller, the MOGA Hero Power will be right up your alley. MOGA has made all sorts of game controllers for smartphones for years now, and we think they’ve finally perfected the formula with the Hero Power. This one has a clip to keep your iPhone XS in place while you play. Connect up over Bluetooth, and you can start playing almost immediately — the Hero Power even allows you to charge your device while you play. 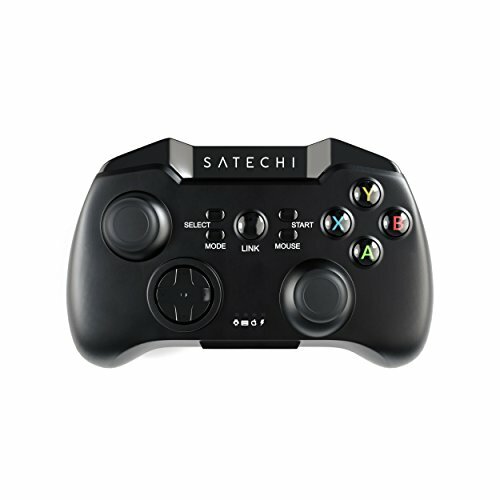 Next up, we have the Bluetooth Wireless Gamepad by Satechi. If you’re looking for a sleek controller that has some wonderful performance, then this one will be right up your alley. It easily connects up to your iPhone XS, giving you better control and precision over your games. It has a spring loaded holder, which gives you a better fit for your iPhone XS — it won’t be going anywhere in the controller’s holder. The controller itself even has a power save mode, which ensures that you’ll get maximum battery efficiency out of this one. 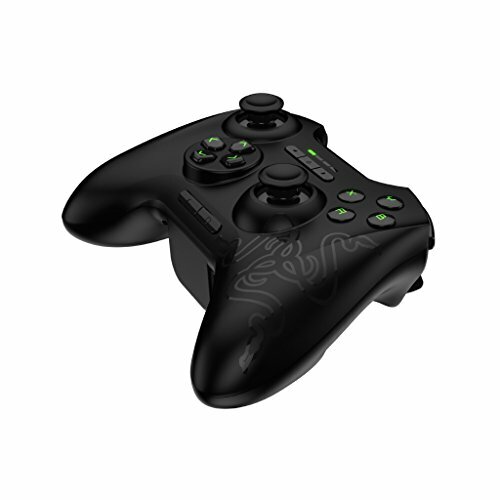 Coming up next on our list is the Razer Serval controller. If you’ve never heard of Razer before, you’ve no doubt been living under a rock. Maker of all sorts of gaming peripherals, the Serval is a compilation of years of expertise that Razer has in the gaming industry. Suffice to say, you’ll only get the most control and precision with the Razer Serval. It’s actually extremely versatile, allowing you to connect it up over Bluetooth and by wire, depending on your preference. You can even pair this controller up with multiple devices, making it easy to switch between the iPhone XS, Android or Apple TV, and other systems. 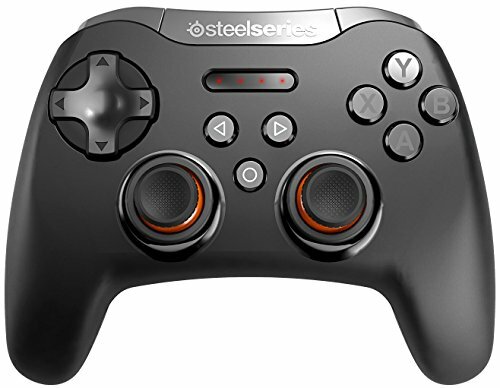 Our favorite controller yet is the SteelSeries Stratus XL. This controller is essentially your standard full size Xbox One gaming controller. It essentially brings mainstream console ergonomics to the iPhone XS and other mobile devices. 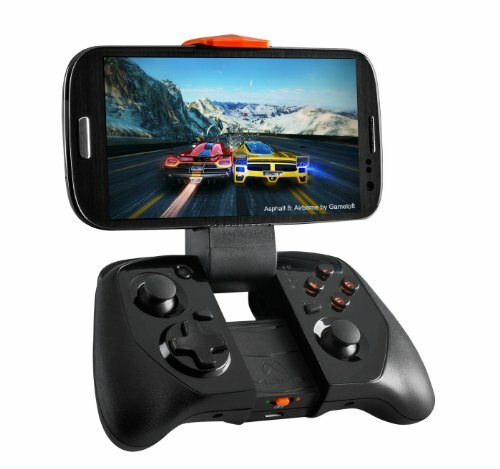 You’ll be able to play any mobile game with it as if you were using an Xbox One controller. You can easily connect this up to your iPhone XS over Bluetooth. Once you do, you can actually customize and program the sensitivity of the triggers and joysticks. It’s one of the few controllers out there that allow you to do this. Gaming on the iPhone XS can be a lot of fun because of all the screen real estate that you get; however, it’s also a serious problem because on-screen controls are extremely awkward. There’s nothing more awkward than trying to control your character in an Action RPG game while fighting a horde of monsters. Hook up one of these gaming controllers to your iPhone XS, and you’ll be able to have much more control and precision when gaming. So, which controller should you pick up? Ultimately, we recommend going with the Stratus XL — this is as close as you’ll ever get to a full size console controller, and the ability to customize the sensitivity in your controller is a feature that’s hard to beat.